Playground-Related Brain Injuries on Rise in U.S.
MONDAY, May 2, 2016 (Healthday News) -- For some kids, playgrounds aren't all fun and games. Playground-related brain injuries have risen significantly in the United States over the last decade, health officials say. Despite improvements in playground safety and design, between 2001 and 2013, emergency rooms treated an average of 21,000 playground-related traumatic brain injuries annually among kids 14 and younger. The statistics were compiled for a new report from the U.S. Centers for Disease Control and Prevention. "It's not just sports. This study highlights the importance of other causes of traumatic brain injuries and concussion among children," said study researcher Dr. Jeneita Bell. She is a medical officer at the CDC's National Center for Injury Prevention and Control. The researchers can't explain why serious head injuries are increasing. "We can only make assumptions," Bell said. "It may be that there is increased awareness about concussions as a whole," she suggested. In recent years, researchers have focused on the dangers of concussions among children, especially in sports. 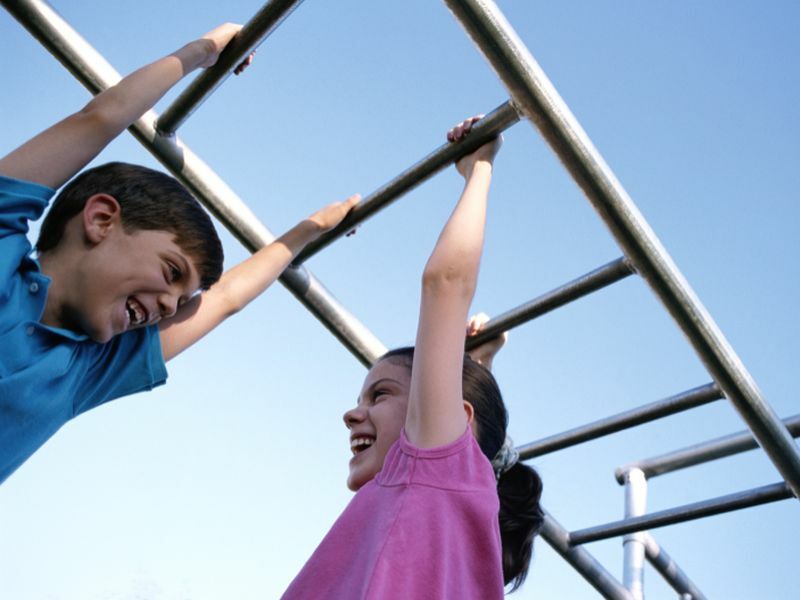 Monkey bars, playground gyms and swings were the pieces of equipment cited most often in connection with these head injuries. And about two-thirds of the injuries occurred at schools and recreational sports facilities, according to the study. Th researchers looked at national injury-surveillance data and found that ERs treated more than 29,000 children for concussions and other serious head injuries in 2013, up from 18,000 in 2001. The numbers started rising notably in 2009, the study authors said. Boys accounted for nearly six out of 10 of these ER visits. And more than half of the children treated were aged 5 to 9, Bell's team found. Most of the injuries happened in April, May and September. In recent years, industry standards for playgrounds have improved, with surfacing better able to reduce the risk of injury and death from falls, the researchers said, suggesting even better safety strategies are needed. The study findings don't surprise Dr. Barbara Pena, research director of the emergency department at Nicklaus Children's Hospital in Miami. She, too, cited increased awareness of the dangers of head injuries as one probable reason for the uptick. Adult supervision is crucial to reduce the injury rate, agreed Pena and Bell. Pena also suggested recognizing that some pieces of equipment are more hazardous than others. "I would advise them to stay away from the monkey bars," Pena said. If that's not possible, parents and teachers should warn children that hanging upside down from monkey bars is dangerous, because they'll likely land on their head if they fall, she added. Parents should also inspect playgrounds. "Check the surfacing to make sure there is soft surfacing in place," Bell said. Be sure your child is playing on equipment appropriate for his or her age. And, look at the equipment to be certain it's in good condition, Bell advised. The study should not discourage playground use, Pena said. "It's fun and it's needed, and kids can be outside," she said. But paying attention to the equipment and the supervision can go a long way to reducing injuries, the experts agreed. The study results were published online May 2 in the journal Pediatrics.